State Representative Dan Swanson (R-Alpha) passed the “Lauryn Russell Lyme Disease Prevention & Protection Law” through the Illinois House on Friday to allow physicians to prescribe more aggressive treatment for Lyme Disease without the fear of disciplinary action. 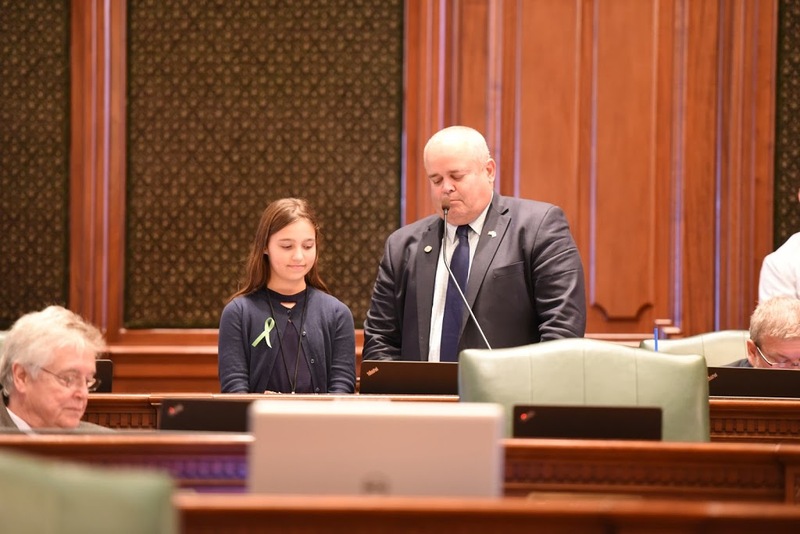 The legislation was inspired by Lauryn Russell, a 12-year-old student from Mercer County, who has Lyme Disease and has had to seek treatment out of state due to potential disciplinary action that could be taken against her Illinois physician for treating Lauryn’s post-treatment Lyme Disease Syndrome (PTLDS) or Chronic Lyme Disease. Advocates for Lyme Disease sufferers say the current recommended treatment of the disease, 10 to 21 days of antibiotics, is insufficient for people with advanced or chronic levels of the disease. Nine states have enacted similar legislation including: Iowa, California, Connecticut, Rhode Island, New York, Massachusetts, Vermont, New Hampshire and Virginia.